Cloud is a rapidly changing form factor. This channel will provide strong and useful cloud information and education on utilising cloud in business and channels, led by Ian Moyse a widely reported Cloud speaker and expert. Cloud continues to be hyped considerably and open any IT magazine today and every other page seems to have ‘Cloud’ boldly pushing its way onto the agenda. It was certainly the Zeitgeist of 2011 for marketers, but has the channel really adopted it with open arms? Ian Moyse has been re-selling cloud solutions through channels for over 7 years and here will provide a summary of his recent findings and experience. Which channels are resisting cloud and why? What are the challenges cloud imposes on channels as we know them? Is there opportunity for a VAR to make good margins on cloud or is it the beginning of the end? 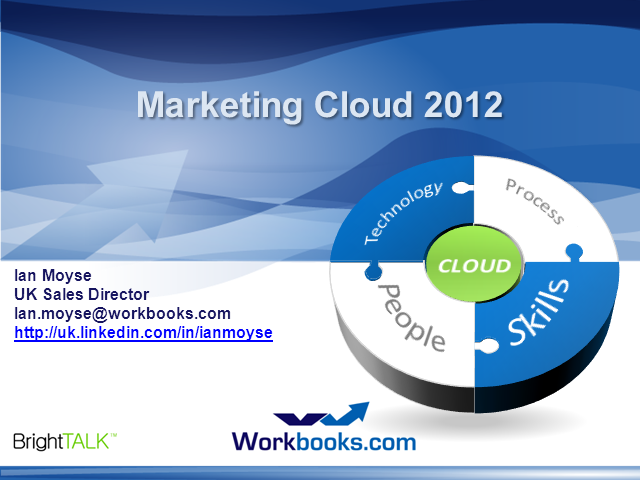 Ian has been widely published on both Cloud and Channel matters and has been keynote speaker at many events. He also runs one of the largest Channel Groups worldwide on LinkedIn. He sits on the board of Eurocloud UK and the Governance Board of the Cloud Industry Forum (CIF) and in early 2012 was appointed to the advisory board of SaaSMax. Moyse was recently awarded global ‘AllBusiness Sales AllStar Award for 2010’ and The ‘European Channel Personality of the Year Award for 2011’ and was named by TalkinCloud as one of the global top 200 cloud channel experts in 2011 and listed on the MSPMentor top 250 list for 2011 which tracks the world's top managed services experts, entrepreneurs and executives. He has also recently been awarded the accolade of Channelnomics 2011 Influencer of the year for Europe.